As the largest, fastest growing salon studio business in the U.S., Sola Salon Studios gives beauty professionals the opportunity to run their businesses independently while also being part of a supportive, successful community. By providing high-end, move-in-ready studios, ongoing education, cutting-edge technology, and unmatched support, Sola frees beauty pros to pursue their dreams, explore their creativity, and strengthen their businesses. 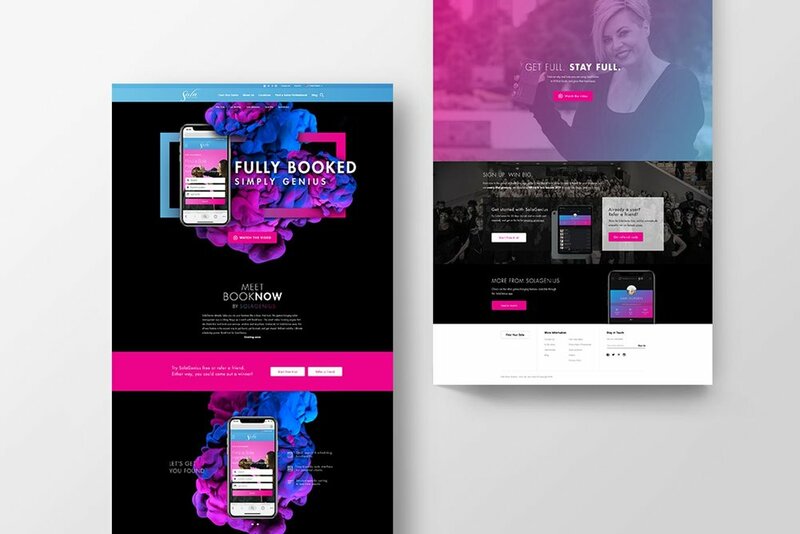 So, when Sola enlisted Bonfire Effect to help roll out an all-new feature from their distinctive SolaGenius app, we couldn’t wait to get started with this big-time beauty biz. BookNow is a smart online booking engine powered by SolaGenius that gives app users a razor-sharp edge when it comes to getting found and getting booked on the web. After arriving at the “Fully booked. Simply genius.” concept – an idea that elegantly connects the ambition of independent beauty pros with the SolaGenius brand – Bonfire set to work strategizing and implementing a full-scope product launch campaign to reach franchisees and Sola pros alike with the exciting news of the truly boss booking engine. 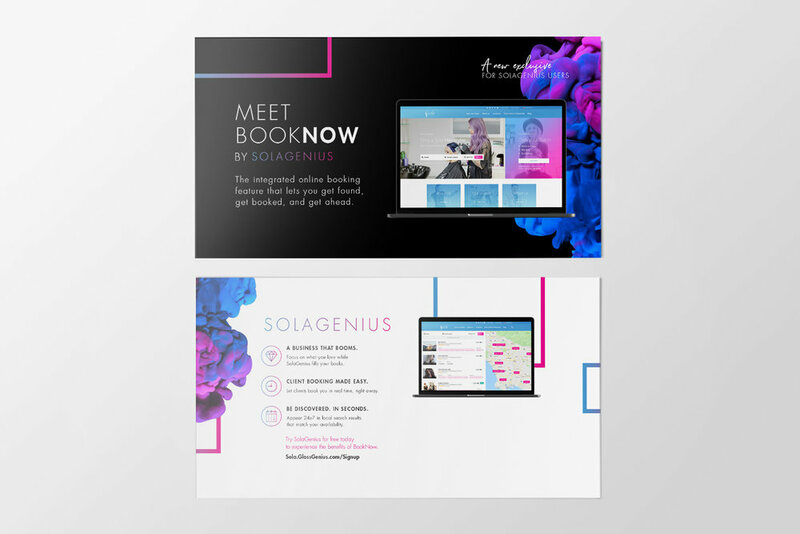 Through engaging messaging, video, print collateral, landing page design, social media content, email, and more, we helped Sola announce the brand-new BookNow feature and kick off a series of high-end giveaways for those who referred or demoed the SolaGenius app. 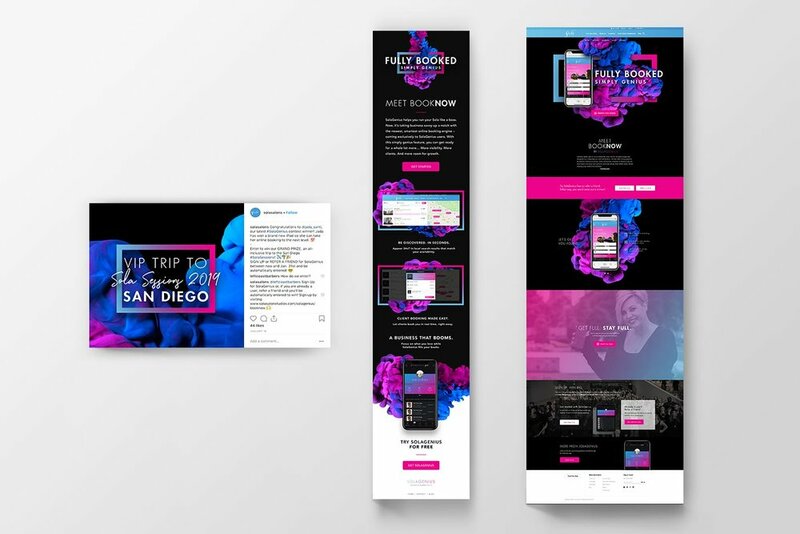 By generating buzz across multiple platforms and audiences, we spread the word about BookNow and laid the groundwork for this exclusive feature to go live in early 2019. Now that BookNow is up and running, our team will continue working with Sola to deliver strategies and tactics throughout 2019 and beyond – ones that continue to build excitement around BookNow, encourage increased adoption of the SolaGenius app, and get Sola pros onboard with this simply genius solution.